Setting up a small business hotline can boost your customer satisfaction rate and the efficiency of your business in a single masterstroke. Answering all your customers’ questions and reacting to complaints helps you keep them happy. Not having your employees distracted by answering calls all the time, keeps them efficient. The only thing that truly matters is to set up that hotline the right way. But even as a small business owner you have some options to consider here that will fit within any budget. Why Do You Need a Small Business Hotline? You need a business hotline of your own in order to provide your customers with the most effective and popular route of communication. Despite the rise of online Live Chat services and undeniable efficiency of chatbots, 74% of US consumers contact customer service by phone (Microsoft’s State of Global Customer Service Report 2017). So, no matter how progressive and ‘online’ your business is, you must give your customers a chance to call you. Please note that in this article I use the modern definition of a ‘business hotline’, which equals to a ‘customer service call center’. The hotlines of times past, point-to-point communication links reserved for emergency contacts mostly, still exist. However, they are used by politicians as inter-state immediate connections. Better relationships with your customers (only if the people working your hotline are friendly, professional, and efficient). Boost of a word-of-mouth marketing as happy customers will be sure to share their experiences with friends. Reduction of time spent by your employees on answering every incoming call. Increased efficiency of said employees who can focus on their actual jobs. Prevention of excessive expenses caused by having your employees work overtime because of the distractions. The most efficient way to start a small business hotline is to outsource this service to a reliable call center. I understand that to many entrepreneurs it might seem like too big an expense. However, think again about the benefits mentioned above. Winning over the love and loyalty of customers as well as betting on word-of-mouth promotion are the main routes to a small business success. Therefore, everything that boosts customer experience is a wise investment into your future. In order to employ a reliable call center you need to choose very carefully, especially when looking for cheaper services abroad. Test the operators’ knowledge of English. Find out which tests of the language the center’s employees take and be sure to interview a few of them to verify their proficiency on your own. Find out essential call center stats. These include average waiting time for a call, number of calls the center can process in a day, and average call duration. You should always look for the shortest options for the latter. Verify the level of the operators’ professionalism. 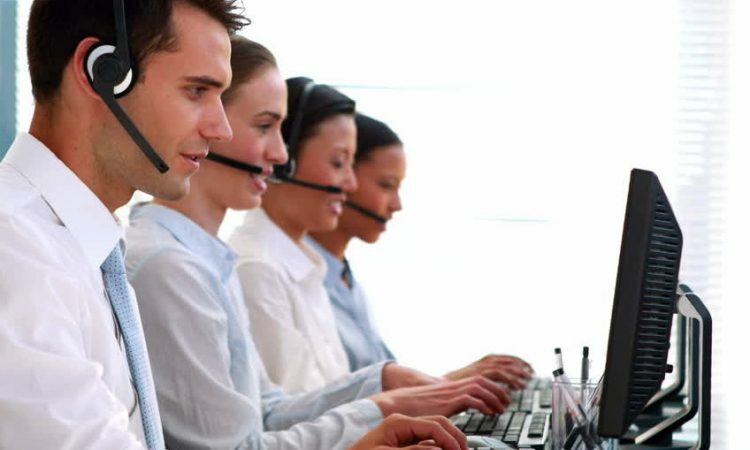 As a small business hotline exists to provide comfort and efficient service to the customers, you have to be sure that no rowdy operator will sabotage your efforts. Ask the call center to provide you with information on their hiring and operation protocols. Go over the training their operators receive in order to see exactly how interactions with callers are handled. Consider the center’s working hours. This won’t be a problem if you use bigger international companies as they usually work 24/7. However, if there are any holiday and time limits to the service, you’ll need to know them in advance. Draw up a set of your own protocols and a detailed information package that will enable the call center’s employees to understand your business and provide good service to your customers. Set up protocols for the situations where your own employees have to step in and resolve more serious issues. A small business hotline will always be a part of your business, even if you outsource the bulk of the job. Therefore, all your employees should be trained to handle matters that cannot be resolved by a remote call center. These are the most essential steps to take when outsourcing a small business hotline. Personally, I also recommend looking for reviews and getting some background information on the call centers you consider. If possible, get references so you can confirm that information directly from the source. Free up or rent a space dedicated to your in-house small business hotline. It should be located out of the way so that regular calls don’t disrupt the workflow for the rest of your employees. If you are working from home, make sure the room isn’t located near a bedroom or children’s play/study areas. Purchase and install multi-line phone systems with headsets for every operator of your hotline. Train your future operators in both handling the phone equipment and resolving customers’ problems. The points on developing protocols for dealing with complicated issues are the same for an in-home call center as they are for an outsourced one. In fact, you’ll have to do more work here as you also have to outline the operator’s behavior etc. Set up an automated answering system using specialized solutions, like Telzio. These systems will require a detailed information package to create the messages your customers will hear when following the menu. An in-house small business hotline can be more cost-efficient to some entrepreneurs. It’s a particularly good option for those who don’t have much need for a customer support system and require more of a direct service, like making phone payments. In these cases, automated answering software will be a great money and time-saver. 34% of US consumers named it as the most frustrating part of a customer service experience. Those 34% beat issues like ‘not being able to resolve the problem’ (26%) and ‘having to repeat information/inquiry multiple times’ (22%). It’s literally impossible for a completely automated answering system to answer all questions/resolve all issues your customers might have. While there can’t be any doubt that your small business should have a hotline, the choice of starting one yourself or outsourcing is yours. Consider your situation and real needs carefully and do your calculations. If hiring 1-2 operators and providing them with equipment is all your company needs, do so. This will also give you more control over the quality of their work. You can always outsource to a bigger call center in the future, as your business picks up. An interesting article but I don’t exactly agree on having to look at implementing such a concept in a small business. Do you not find that some customers now find it slightly archaic to call instead of chat live? Martin, I think you may be right. In fact, a lot of the younger generation insists on messaging rather than calling – apparently its deemed out of date to call someone now! Amos, I must concur with them on that! I find it easier to chat online with someone if you are working online in the first place. Though I assume, it is somewhat more to do with your type of business. Guys, thanks for the great comments. You are both right, communicating online is the more favored choice, and I for one prefer this method. However, by not offering a phone method, you could be losing out on the enormous number of customers who do indeed still prefer to phone.